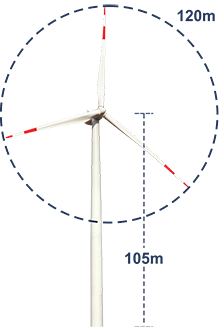 Suzlon’s new S120 wind turbine generator, built on the highly successful 2.1 MW platform is set to improve the ROI for customers and a new benchmark in the wind industry. 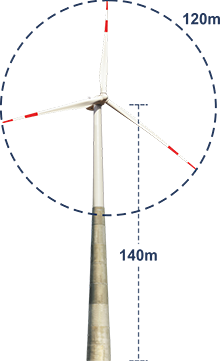 Suzlon has yet again redefined the benchmark in the wind industry by building a world-class product with S120m – 2.1 MW - made specifically for low wind sites. 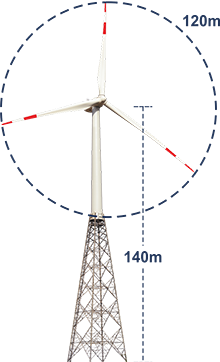 Suzlon’s design teams across the globe have collaborated to create an all new individual pitch control mechanism that allows putting a 120m rotor on the 2.1 MW platform. This provides a massive swept area of 11225sq m that is equivalent to a cricket field, thereby harvesting more energy even in low wind areas. The S120m – 2.1 MW is available in three variants with towers up to 140m hub height that helps in unlocking the potential of previously unviable sites. 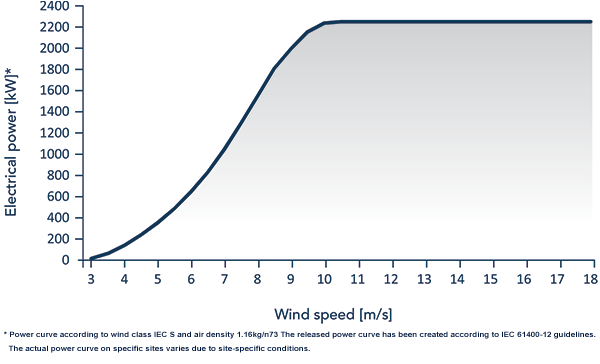 With varied hub-height options, wind park owners can optimize the configuration based on the site's wind shear for optimal energy output. 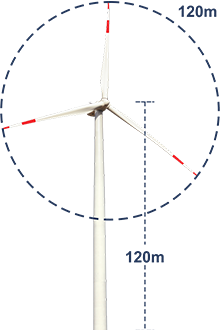 Grid-friendly DFIG electrical systems continue to smoothly integrate wind turbines into the ever demanding utility network, meeting the latest grid requirements. Next generation controls and state-of-the-art-software maximises the energy yield further and helps to reduce the Levelised Cost of Energy (LCoE). The superior performance of the S120 will improve return of investment (ROI) for customers and has set a new benchmark in the Indian wind industry.